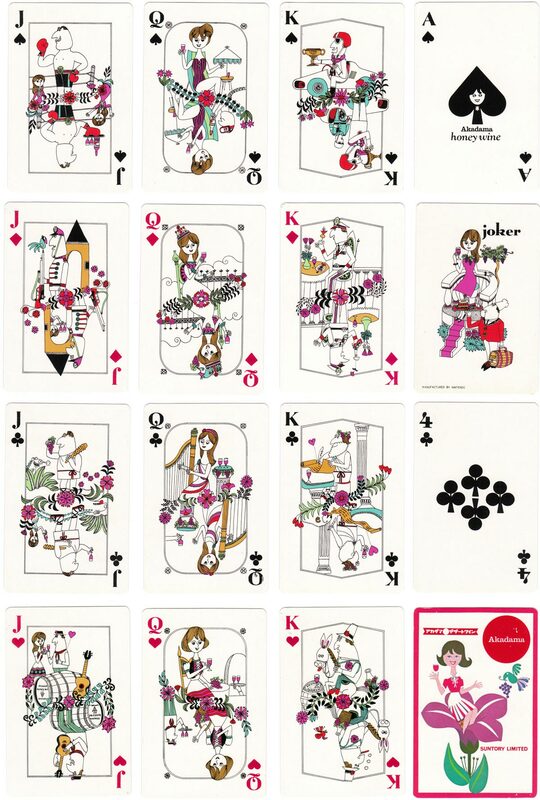 Suntory “Akadama Honey Wine” playing cards manufactured by Nintendo, Japan, c.1970. Suntory is a Japanese alcoholic beverage and food company founded in 1899. The Japanese Honey Wine is not wine made from honey but it has honey added to make it sweet for the Japanese taste. The court cards have differently shaped frames for each rank and are double ended with different cartoons at each end (click image to see up-side-down). Above: Suntory “Akadama Honey Wine” playing cards manufactured by Nintendo, Japan, c.1970. Images courtesy Rex Pitts. 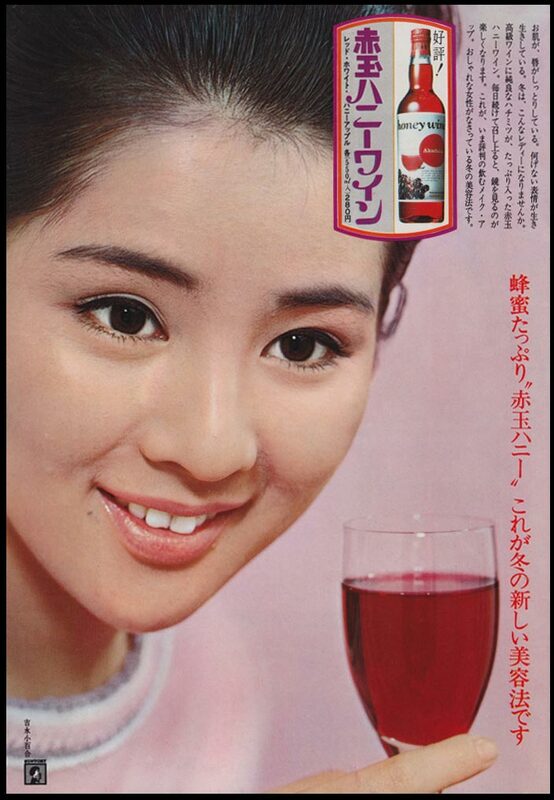 Above: a Japanese advertising poster for “Suntory Akadama Honey Wine”, 1968.